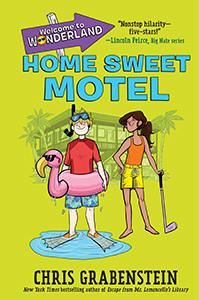 Welcome to Wonderland—serving up fun, sun...and mystery! P.T. 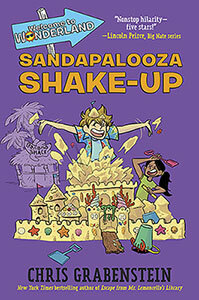 and his best friend, Gloria, are getting ready for St. Pete Beach's first-ever Sandapalooza! 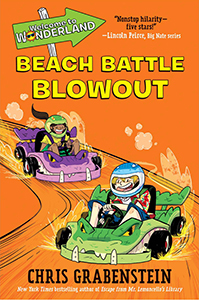 The Wonderland Motel's biggest rival, the Conch Reef Resort, is doing everything it can to win the sand sculpture contest, but P.T. has bigger problems: The Wonderland has opened a new restaurant—the Banana Shack—and running a restaurant is NOT a piece of cake! To make matters worse, a royal guest's priceless tiara has gone missing, and the prime suspect is the Wonderland's beloved housekeeper! Can P.T. 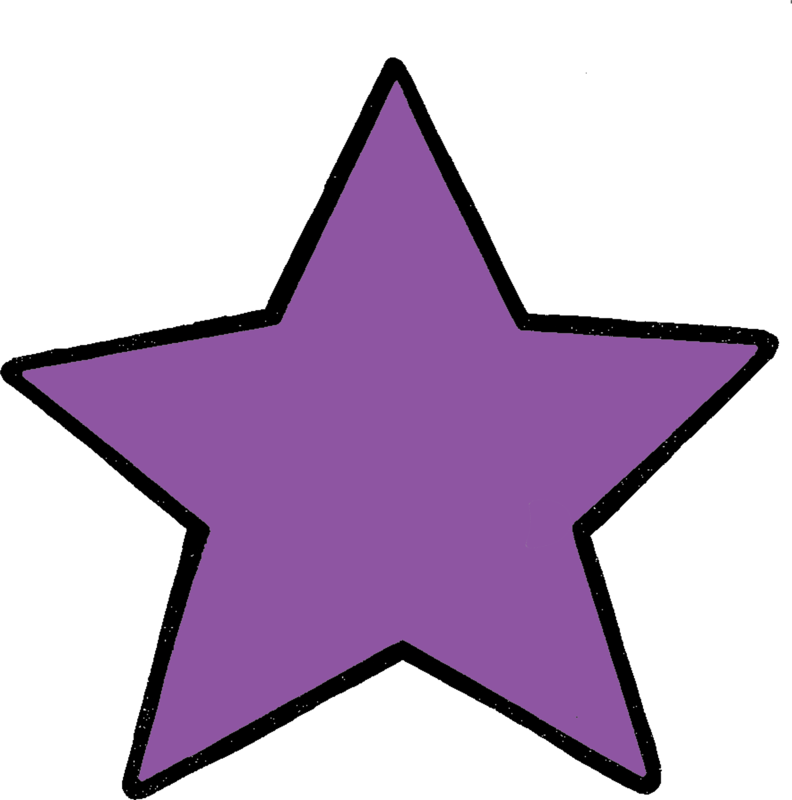 and Gloria win the contest, keep the restaurant going, and clear Clara's name? "I LOVED this book because I think it was HILARIOUSLY FUNNY!!!!!!!!!!!!" 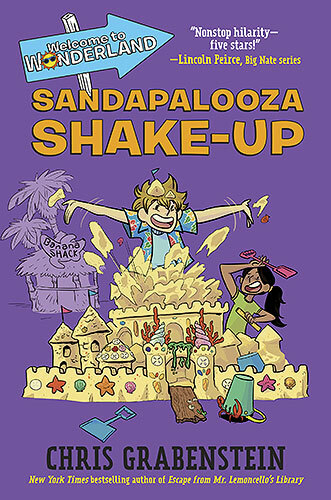 "Sandapalooza Shake-Up is another fantastically fun and off-the-charts funny book in a superb series that I've come to really love and look forward to. 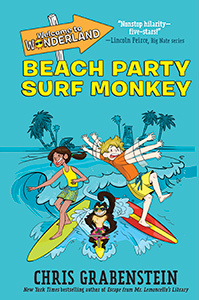 A perfect summer read for kids!"